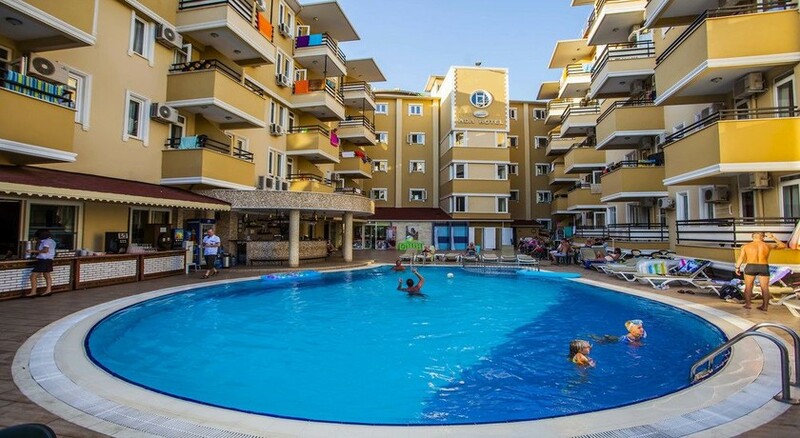 Kleopatra Ada Hotel is located near the Kleopatra beach in Alanya, Turkey. It features a luxurious outdoor pool and an outdoor restaurant which is run by a Danish and Turkish chef. The restaurants serve only the best in Turkish and Danish cuisines. There is also a choice of other international cuisines. The 123 guestrooms housed on the property are uber-luxurious and come with all the necessary amenities required by the modern traveller. With luxurious spa facilities and plenty of beach activities, the hotel is a fun getaway for families looking for some fun time together. A 24-hour desk and free parking are some of the other amenities offered here. Kleopatra Ada Hotel is just 100m from the beach. At only 2.5km lays the town-centre of Alanya, which is filled with a plethora of eateries, boutiques and bars. The Gazipasa Airport is 44.3km from the hotel, while the Antalya Airport is 122km away. The best way to reach the property is via air from the Antalya Airport. The guestrooms at the Kleopatra Ada Hotel are done up in light hues. One can find tiled flooring in the rooms along with a TV, mini bar and private bathroom. The air-conditioned and smoke-free rooms also have a balcony or a terrace. There is a hairdryer and basic toiletries in every bathroom. An electronic safe in the room will help to keep your valuables safe while you are away. One room is available for the physically challenged guests. Kleopatra Ada Hotel has an outdoor restaurant offering international dishes served by Danish and Turkish chefs. Guests can sample a variety of steaks, pastas and fresh fish in the Bistro Oasis with a cosy terrace. A swanky bar serves delicious alcoholic beverages. The property has a large TV screen for guests who wish to catch up on their favourite sports. Guests can also visit the hotel’s beach bar while at the beach. 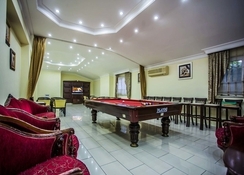 Kleopatra Ada Hotel offers plenty on the sport and recreation front. Guests can soak in the outdoor pool or relax on the sun loungers here. A kid’s pool and a children’s playground will keep children entertained. Various activities like darts, beach volleyball, table tennis and water-sports are offered to here. The hotel has a streamlined sauna offering Turkish bath, beauty centre and pampering massages. There is a fitness room for guests to exercise. The food was the same everyday. Room was a goodsize but not cleaned daily. Entertainment was very very poor and on the odd night it was on only lasted 45 mins max...when we went in Oct 2017 they were trying to get the star rating up and on the day of the visit it was a totally different hotel as they were trying to impress. Yellow signs around the pool and a lifeguard sat around the pool..(which was the only day there was one or any signs for warnings or hazards) never seen again once inspections were done.